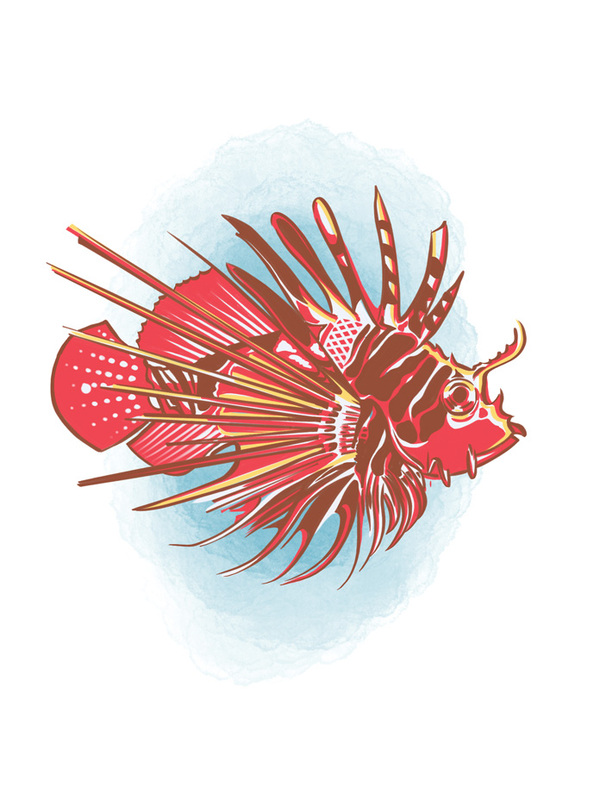 Native to the Indo-Pacific, the lionfish is one of the most infamous invasive species in the western Atlantic, posing a real threat to local ecosystems. In an attempt to control the spread of lionfish populations, recreational divers in the Americas have started aggressive campaigns to hunt them. In the process, many divers are stung with the lionfish’s sharp spines, which can cause very painful and sometimes complicated wounds. 1 Lionfish are not aggressive. The best way to prevent injury is to maintain a prudent distance. 2 Before engaging in spearfishing or culling activities, learn how to handle these animals from more experienced divers. 1 Rinse the wound with clean freshwater. 2 Remove any obvious foreign material. 3 Control bleeding if needed. It is acceptable to allow small punctures to bleed for a minute immediately after being stung as this may decrease venom load. 4 Apply heat. Immerse the affected area in hot water (upper limit of 113 F/45 C) for 30 to 90 minutes. Ensure the water is tested on the same body part of a non-injured individual first. The water should be as hot as possible without scalding. 5 Apply bandaging as needed. 6 Seek professional medical evaluation. Information provided by Divers Alert Network (DAN). For more information, visit DAN.org/Health/Hazardous-Marine-Life.